There’s a better way, and we have it. POWERpay is a commerce platform built to help generator dealers and HVAC dealers sell more equipment, installation, and services. There are NO FEES + NO COST to participate. Now you can offer your customers payment options with POWERpay. We offer an easy and nearly instant sign up. Once you’ve completed enrolling in the POWERpay program your dealership will be ready to write loans in less than 24 hours. We will provide logins for your team so they can write loans in your customers home, office, or online. Using POWERpay is easy. We made it easy for your customers to complete a simple loan app with automated approvals within seconds. We also made it easy for you process the paperless system and get your customer their equipment and installation faster. Our goal is to make your life a little easier, help you sell more product, give your clients a reason to come back or refer you to their friends. Our loan process is seamless, paperless, and speeds up the time to process the loan so you can get paid faster. Our program uses the state-of-the-art technology platform to secure you and your clients when applying for a loan. Most Dealers don’t realize that customers who finance tend to spend more (invest) in their home. With low fixed monthly amount, we find that customers upgrade to larger or better unit and are more likely to get the enhancements because it’s more affordable with financing. Many dealers complain that their sales team or admin don’t try and bundle things like warranties, maintenance, and service at the time of sale. They also don’t understand that some or all of these items can be bundled into the loan. Many customers prefer to know what the total of their monthly bill. Customer like options so it’s added to your program. POWERpay is adding new programs to help you sell more, make more money while helping you close more customers. It’s a fact that 50% of all home improvement investments over $5,000 are financed. Additionally, over 30% of all buyers research financing options before making a purchase like a generator. By not offering a financing option you are missing out on sales opportunities. Customers that need financing aren’t contacting you. You are also missing out on customers that may make a larger purchase if financing was available. Offering financing will help your business grow and it’s why Home Depot, Lowe’s, IKEA and every major retailer offers it. Now you can too! We are former dealers who understand the needs of the local dealer. Our job is to help you sell more systems. We don’t charge you anything to participate. You keep 100% of the sale. We have other programs that will help you grow your maintenance business along with providing you other opportunities to generate additional income with our other partner programs. Our lenders vary by state but generally have placed over $30 Billion in loans so when you process a loan with us you can be sure it will get funded. It’s a pretty simple model. Consumers apply online and a decision is automatically generated within minutes. We offer payment options to the consumer who would prefer or cannot afford to pay cash for the entire installation. We offer competitive and reasonable financing to help the buyer make affordable monthly payments rather than one big purchase. Every customer that uses POWERpay will receive a FREE 1 Year HDR (Home Deductible Reimbursement) Insurance Plan, access to FREE 10 Year warranties, & discounted remote monitoring. Offering payment plans keeps the focus on your service instead of the price. Your customers can always choose to pay with cash, but with financing, you can increase their buying power and improve the appeal of your company. Our financing programs offer a lot of other benefits to the dealer plus allowing the customer to pay a small monthly payment vs. a big check. 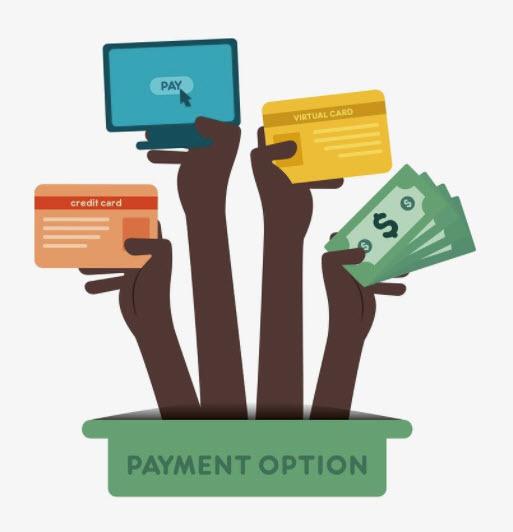 Customers prefer payment options for major purchases to increase their buying power and fit their budget. POWERpay offers multiple plans to meet the consumer’s needs. It’s much easier for the customer to focus on the affordability of a low monthly payment than a large “big ticket” purchase.